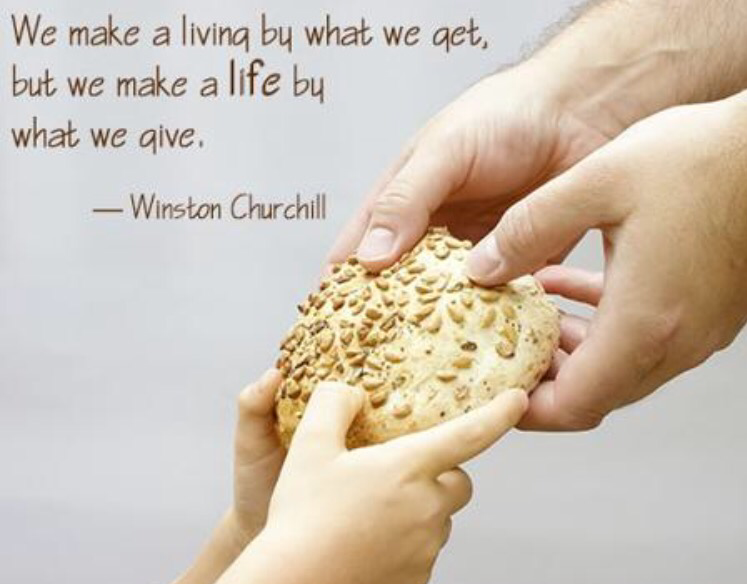 Nothing surprises me anymore….There is now an app that allows people to express themselves and to find love online solely based upon the contents of their refrigerator. After all, it’s what’s on the inside that counts. Launched by Samsung, and only available to owners of the Samsung Family Hub, a $4,000 smart fridge with a touch screen and a camera that allows you to view the contents of your fridge from your phone, Refrigerdating lets you see what other users have in their refrigerator. If you don’t like Brussels sprouts, swipe left. 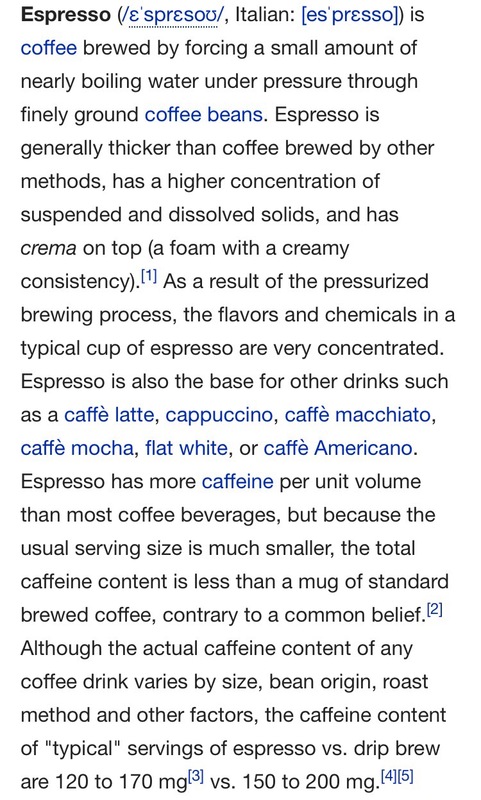 The theory behind this concept is that you can tell a lot about a person by what they eat and drink. Studies show that spicy foods is an indicator that someone takes risks. People with a sweet tooth tend to have a sweeter personality. This study also shows that people who like a lot of butter food have a more anti-social personality. I can’t imagine that many people own this $4000 refrigerator and I have heard that there aren’t many users on the app. I would think that most single people wouldn’t need a refrigerator with those types of features. Who knows? Maybe another refrigerdating app will be launched that can be used by owners of various style refrigerators. It’s amazing how you can live in a city your whole life and still not have experienced all that it has to offer. I live in New York City, which is made up of five boroughs: Brooklyn, Staten Island, Manhattan, Queens and the Bronx. I was born in Brooklyn and lived there until my freshman year of high school. We then moved to Staten Island where I lived for another 9 years. At this point, I moved on to Yonkers, which is the very beginning of Westchester County and borders the Bronx (you can literally walk from the Bronx to Yonkers). I then returned to Staten Island years later and have been living here again for the last six years, while working in Brooklyn. So my entire life I have lived and worked in New York and for some parts, right next to it, and still there are so many hidden gems that have yet to be discovered. There are tourists that have seen more of New York City than I have. The thing is, there is literally so much to do here that even when you do get out, there is still so much more to see. One person can’t possibly take all of it in. That’s what I love about New York City. There are endless possibilities of things to do. You will literally never have nothing to do. I have always been obsessed with going out and exploring new sites and cultures and events and New York is one of the only places that has something for everyone. We have restaurants and clubs and sites to accommodate any interest or preference you have. My girlfriend and I decided that hopefully twice a month, we will go out and explore something new within New York City. This includes any and all of the boroughs. There are so many websites that you can learn about what there is to do and get discount tickets to different venues and events. With Goldstar and Groupon, the possibilities are endless. With public transportation, every place is just a train ride away. Or an Uber. A few weeks ago, we ended up in Industrial City in Sunset Park at a temporary Escher Exhibit. We then ended up in Little Italy in Manhattan at a cozy Italian restaurant called La Vita Bella. Last night, we went to a Japanese restaurant in Times Square called Natsumi. It is located on West 50th St off of 8th Avenue. There are actually two Natsumi locations on that same street. It was intimate and cozy. Nice, laid back and relaxing atmosphere. The salmon avocado rolls were very tasty and I enjoyed my cheesecake dessert. Afterwards, we went to Broadway Comedy Club on West 53rd St. The place was packed and seating was tight but once the jokes started rolling (and the drinks start hitting), you don’t even care. In between activities and after, we acted like tourists and enjoyed the bright lights and lots of pictures. It was midnight yet you would have thought it was 2 pm with how active and bright it is. New York City is literally the city that doesn’t sleep. My train ride home went smooth until I had to transfer. The one I needed was no longer running so I called an Uber (which got there in literally one minute) to take me to my car. That’s another thing about New York City. An Uber is ALWAYS waiting. I took a picture last night from the San Gennaro festival on Mulberry Street in Little Italy, New York City. These two lovebirds happened to be sitting right in front of me and I purposely included them in my picture because they looked so cute and into each other. Could it have been a first date? Possibly. Maybe a couple who broke up and got back together? High school sweethearts? Who knows. Every year in the United States, February 22nd is National Margarita Day. The margarita is the most common, tequila based cocktail in the United States. 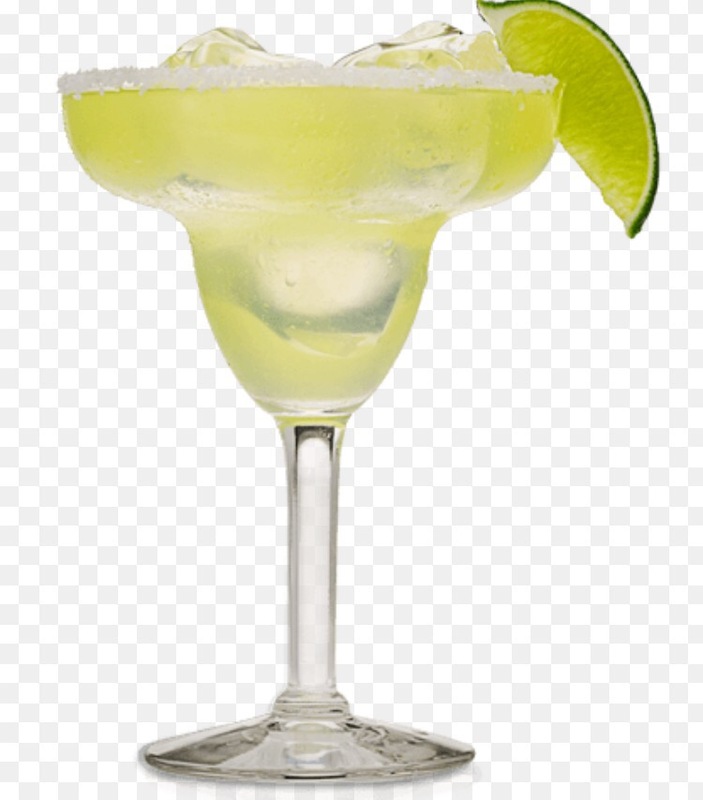 A margarita is a cocktail that consists of triple sec, tequila and lime or lemon juice. It is also garnished with salt around the rim. You can order your margarita shaken with ice (on the rocks), blended with ice (frozen) or without ice (straight up). It also comes in a variety of flavors including strawberry (my personal fave), mango, limeade, watermelon, pomegranate and raspberry. There are many stories about the origin of the margarita, but all agree it started somewhere between the 1930’s and 1940’s. 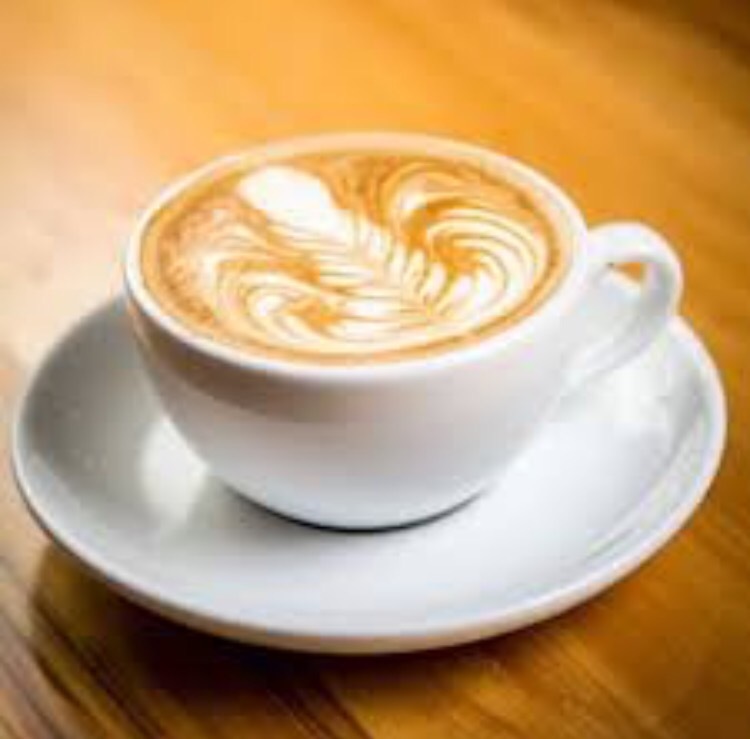 One of the earliest stories attributes the drink to a restaurant owner by the name of Carlos “Danny” Herrera. His restaurant was called “Rancho La Gloria” and was located between Tijuana and Rosario, Mexico. Supposedly, he created the margarita for a customer, Marjorie King, who was allergic to many spirits except tequila. Pictured above, the Coronorita is one of my favorite drinks. 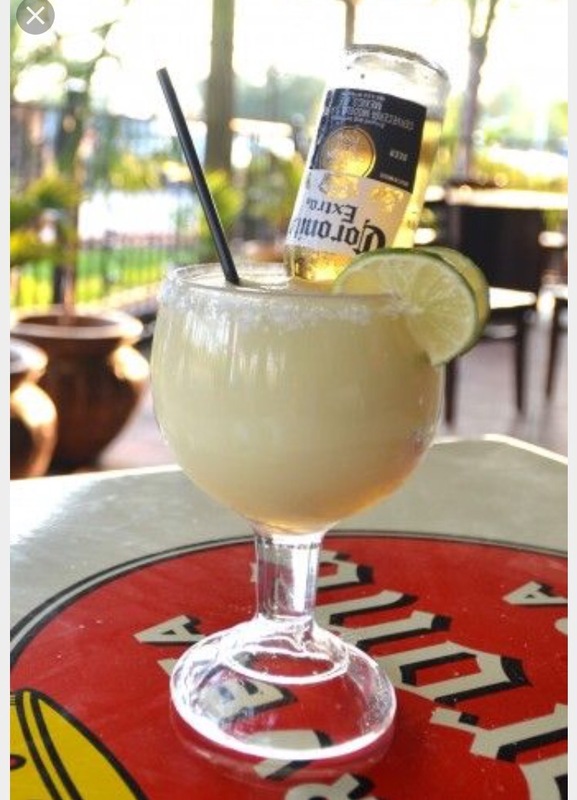 It is basically a beer cocktail with a bottle of Corona turned upside down into a frozen margarita. In honor of Espresso Day, McDonalds was giving free medium McCafe drinks, hot and cold, to customers with the McDonalds app. I enjoyed the Caramel Mocha. They say one man’s junk is another man’s treasure. You would be surprised how much we throw away that could actually be used by somebody else. My son’s clothes from last winter no longer fit him. I had cleaned out the drawers to make room for new clothing as I was going to put them in one of those clothing donation bins. But then I decided to post pictures of his clothes on his school’s Facebook page. Within ten minutes, a parent told me she could use the items and she picked them up the next evening. The last couple of days I have also brought old papers/forms/mail etc that I have had sitting in a tote bag in my trunk for the last three months to a program for people with intellectual disabilities, as many of the individuals engage in paper shredding activities. They do this on an almost daily basis and struggle to gather enough paper to accommodate all participants. My mom had a large envelope for me this morning filled with papers to bring in. So you see, what might no longer serve a purpose for you, can surely be used by someone else. 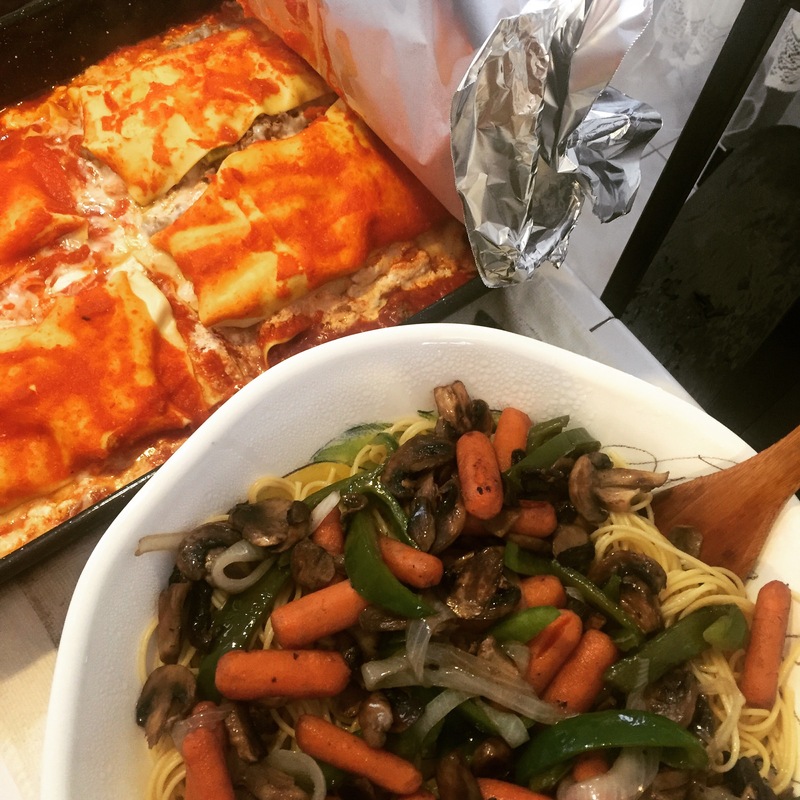 Tonight I made lasagna and spaghetti with veggies sautéed in oil and and butter. I pre heated a pan with about a tbsp of oil and about 3-4 tbsp of butter. I kept it on medium heat. Once hot, I added mushrooms, sliced green peppers, sliced onions and carrots. Stir occasionally and sauté until soft and pour entire mix into your pasta. 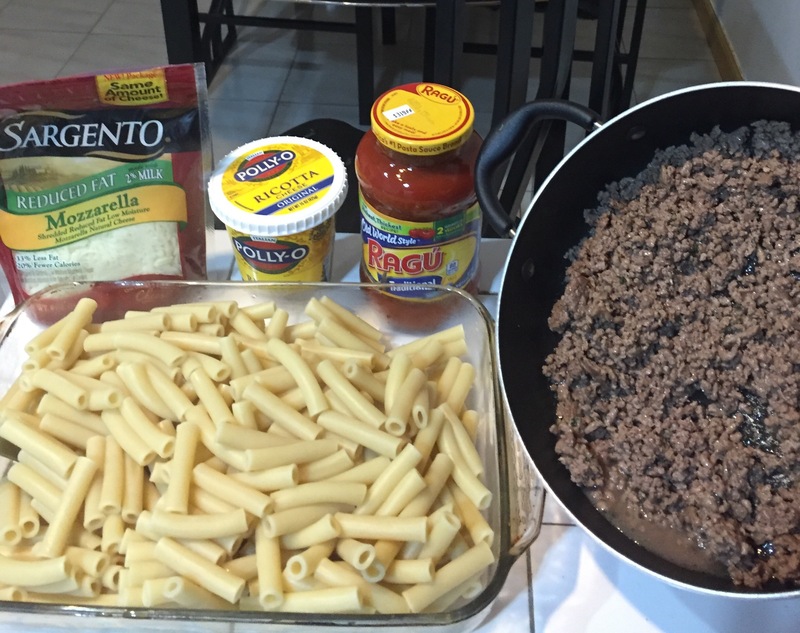 For the lasagna, you can put ricotta cheese, shredded mozzarella cheese, tomato sauce, diced green peppers and cooked chopped meat in between each layer of lasagna. Cover baking pan with foil and cook at 375 for 20 minutes. 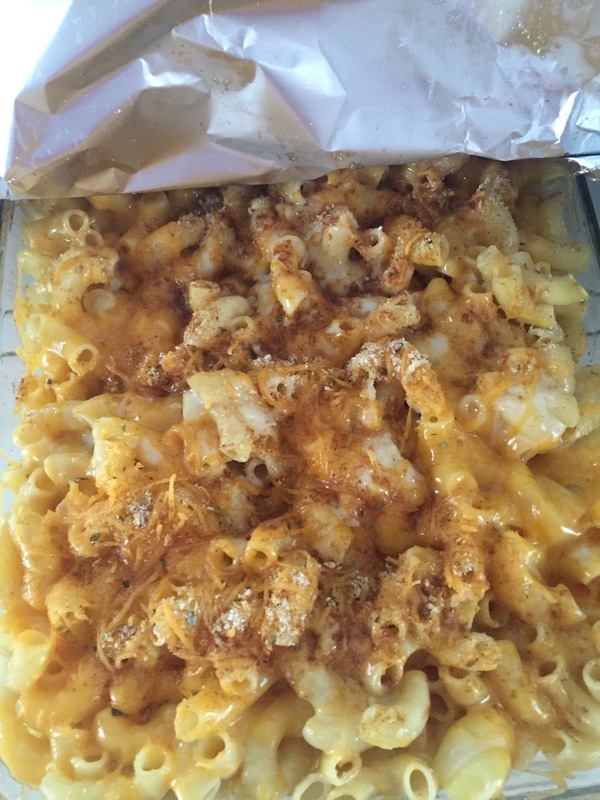 This is a simple and easy recipe for homemade Mac and cheese. 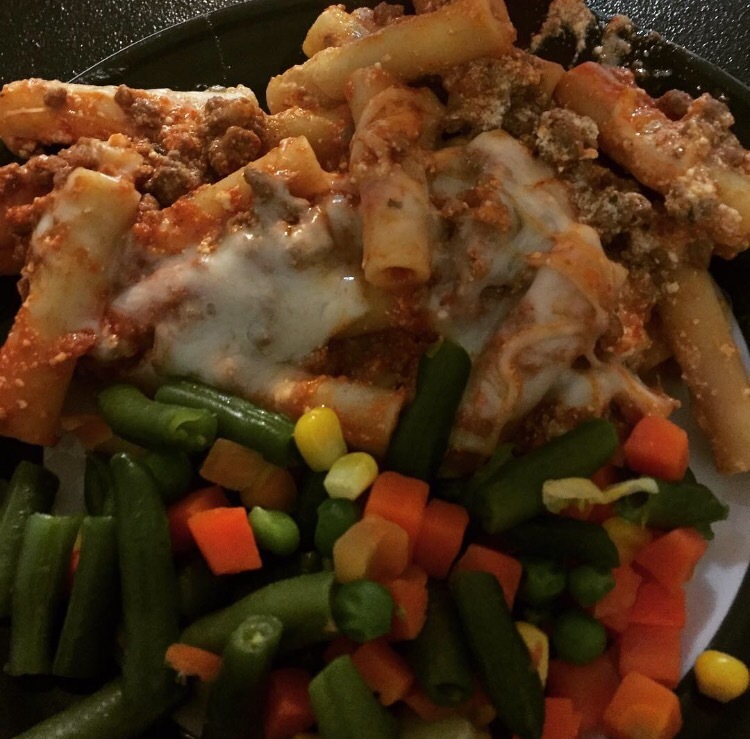 I have been a long time lover of this dish and my son can easily eat three servings of this. 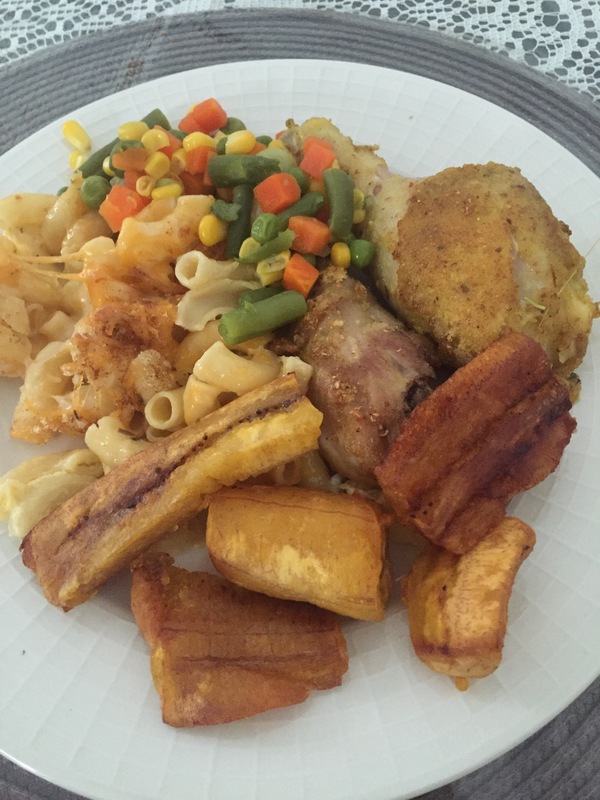 I used as a side with fried chicken, mixed frozen veggies and platanos (sweet plantains). 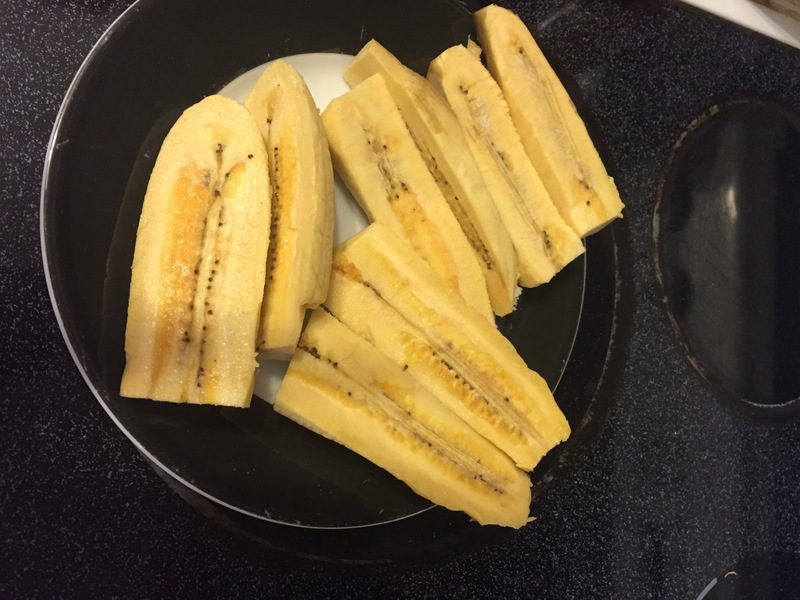 You can check out previous post for how to make platanos. 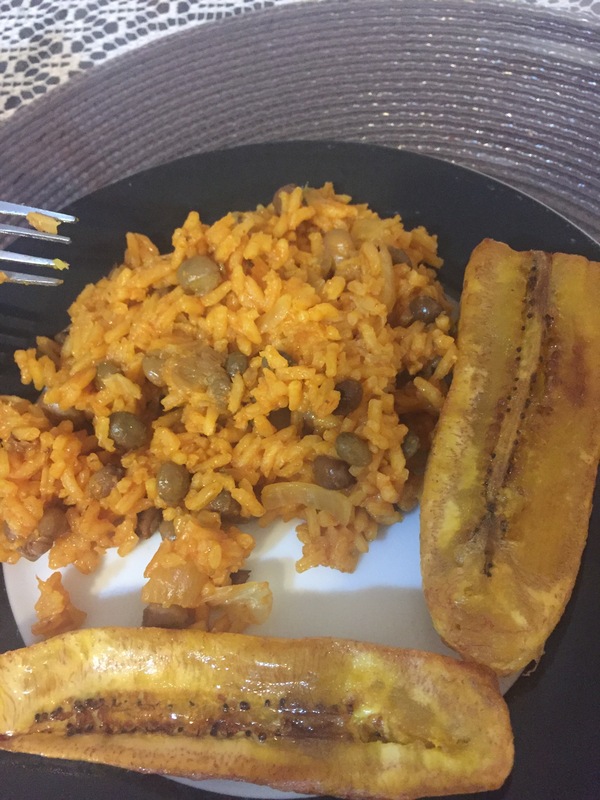 This is a quick and easy recipe for arroz con gandules (rice and pigeon peas) and platanos maduros (sweet plantains). Heat oil in a pot on medium heat. Add onions, garlic and pepper and stir frequently for about 10 minutes. Add water. Cook uncovered until water is gone. Lower heat to very low, cover and simmer for 15 minutes. Add plantains to oil. Oil should be enough to cover the plantains. 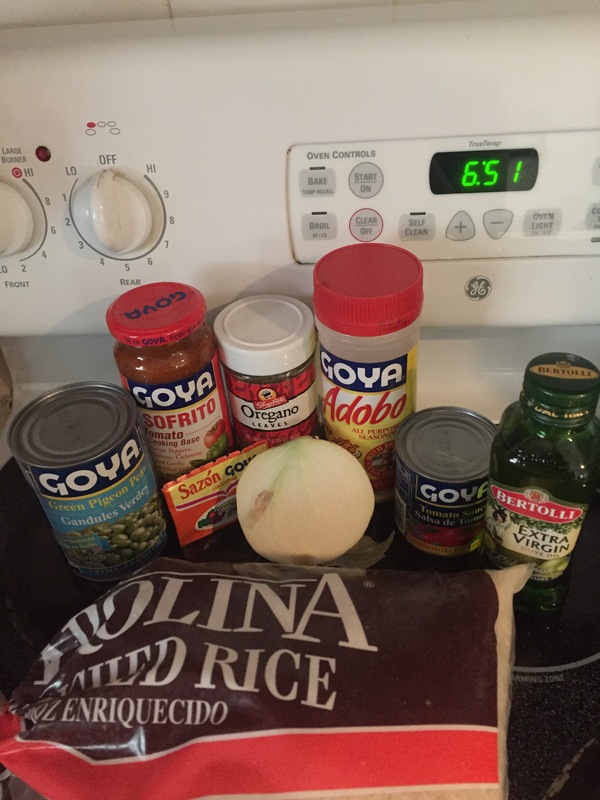 Lower heat and cook for 15 minutes, turning plantains occasionally, until brown. Put on a plate covered with paper towel if you want to absorb some of the oil. This is the dish to make if you are pressed for time or just not in the mood to spend hours in the kitchen. 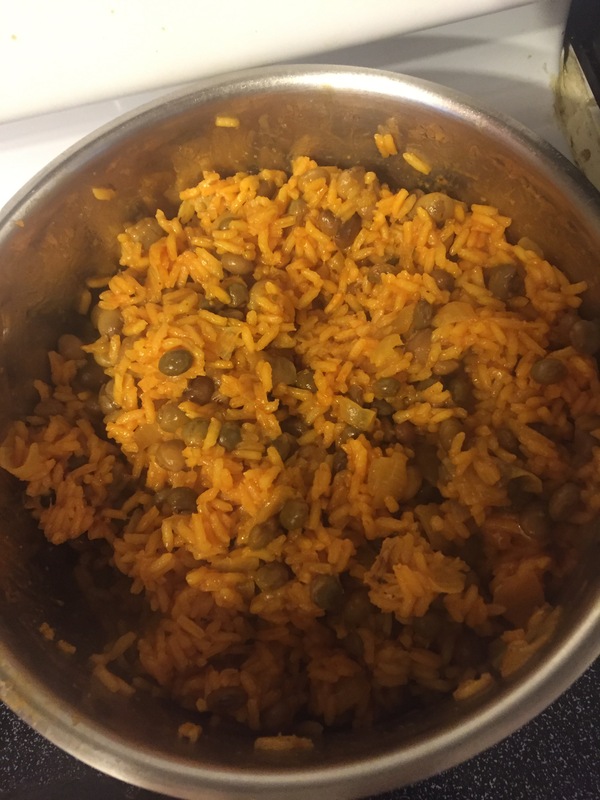 The recipe is simple and you get a delicious and filling dish that everyone loves.